This picture was submitted by Sharon Cordray. This picture was taken for me by Mike and Carla Morris at the DCI World Championships last year. 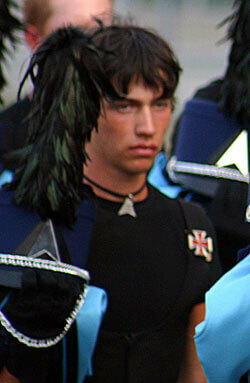 It is of my son, Shane, in his Spirit uniform halves, wearing my Crossmen Maltese from my aussie.